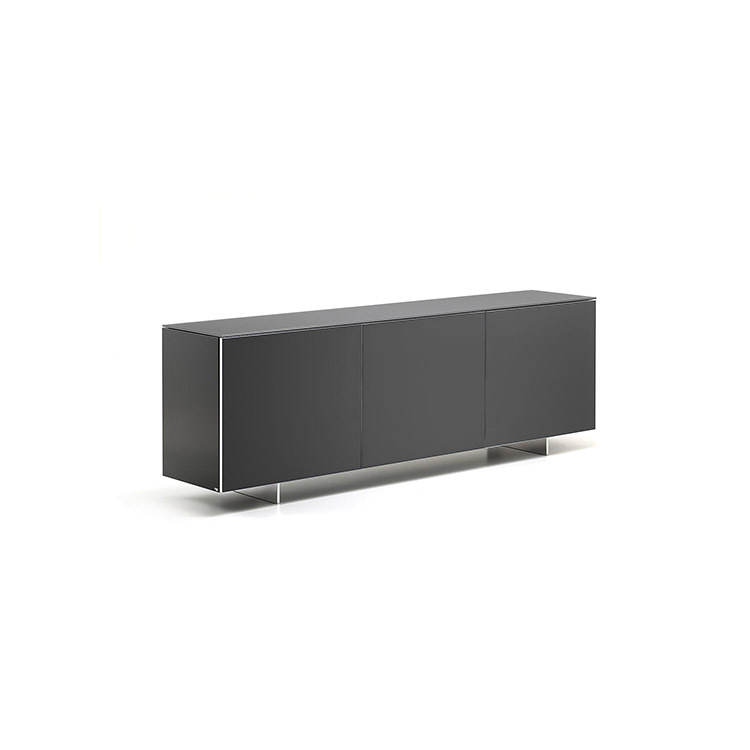 Sideboard in white, grey, graphite, oyster or black matt lacquered wood. Doors with satin aluminium frame and black or extra clear white, grey, graphite, oyster varnished glass or extra clear frosted glass white or graphite varnished. Top in black or extra clear white, grey, graphite, oyster varnished glass or extra clear frosted glass white or graphite varnished. Clear glass shelves. Internal drawer in the 3 doors version. Polished stainless steel feet or matt white, black or graphite varnished.